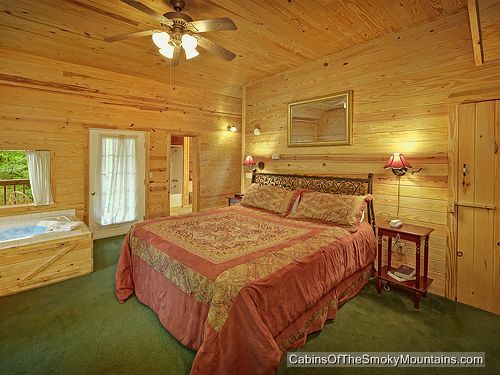 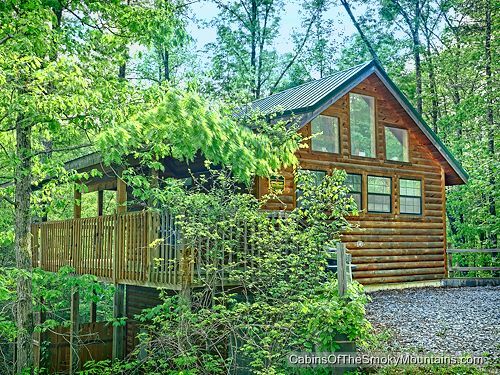 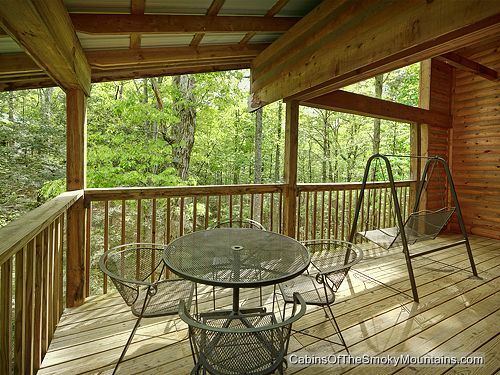 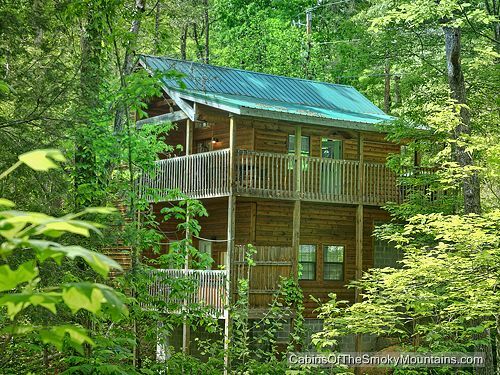 Goodnight Sweetheart is a romantic 1-bedroom luxury rental cabin tucked away in the trees just outside Pigeon Forge, Tennessee. 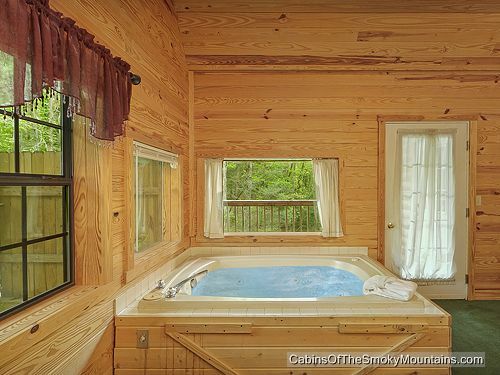 With a jacuzzi in the bedroom, a hot tub just outside on the deck, and the Smoky Mountains all around, it seems pointless to think about being anywhere else! 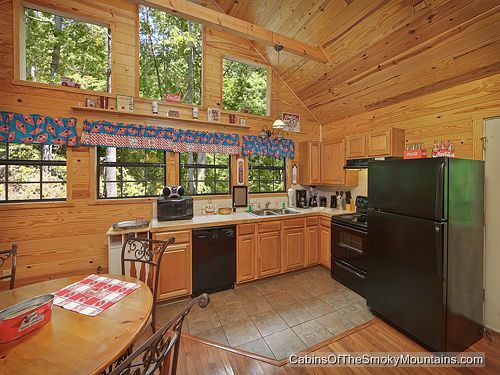 Here are a few photographs of the cabin.